This extra long length necklace is made with a mix of irregular shaped gemstones. 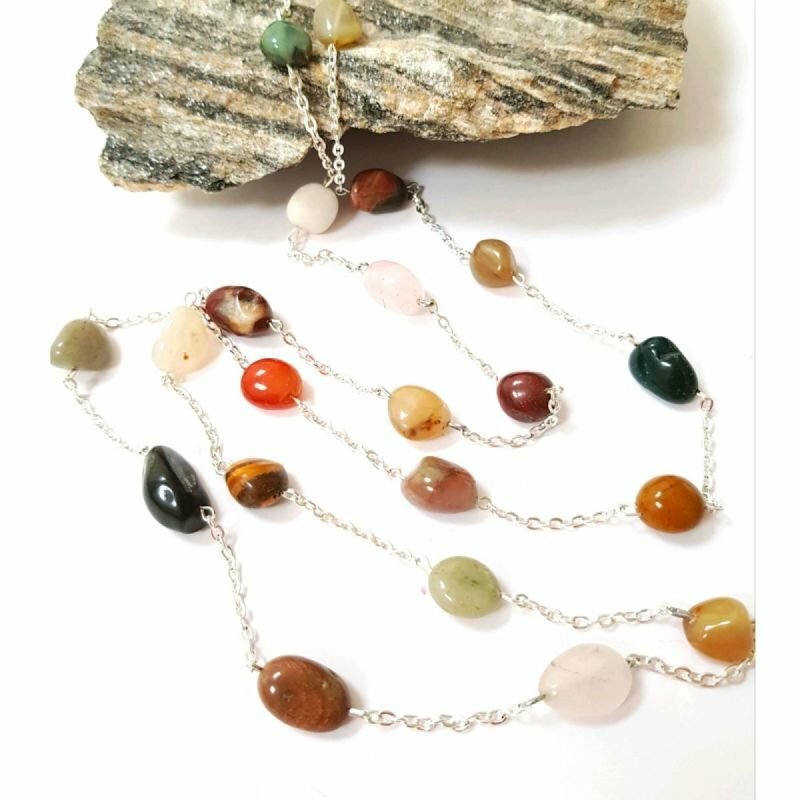 The gemstones are separated by a small length of silver plated chain which enables the eye to separate the fabulous colours of each of these stones. The gemstones are all earthy colours which goes beautifully with their rustic shapes. The necklace measures 46" which enables the wearer to wrap it around twice. The necklace has a lobster claw fastener. because this necklace has a mix of different gemstones it will give the wearer a number of different benefits.